Today is Friday, which means that it's time for another weekly challenge. This week I had to shoot "liquids mixing". 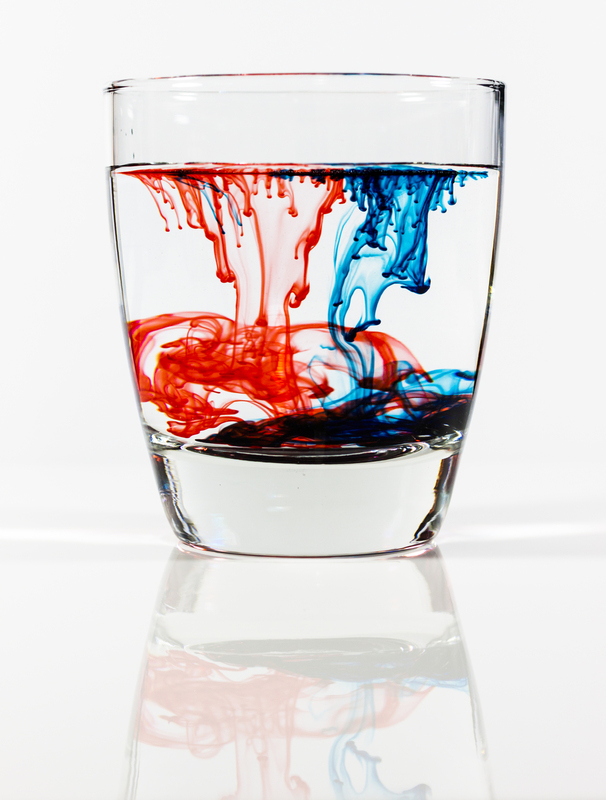 I thought this would be a great chance to try out some cool food coloring shots in a cup of water. I even did a little behind the scenes video showing my setup that will go up later today. Once the video goes up I'll put the link at the end of the post. This was pretty fun to do, I'm not gonna lie. I took two hot lights and pointed them towards a white piece of paper I had set for the background, pretty ghetto stuff here, and then placed a cup filled with water right in the center. I set my camera up on a tripod and hooked in a shutter release. Then it was all a matter of dropping in the food coloring and going shutter crazy ©. In the end I got so many cool shots, but these four are definitely my favorites of the group. Next week's challenge is going to be "Levels and Layers", so check back next week (or everyday, that's cool too) for that.